I am an enthusiast who loves to interact with people and exchange information and knowledge. I am keenly interested in Computer Science and building newer solutions that can help to reduce the tedious human tasks. A Computer Science graduate from Malaviya National Institute of Technology, Jaipur. Interacting with people and discussing various aspects of technologies fascinates me. My ability to grasp concepts quickly and apply accordingly in required places helped me in numerous occasions to ensure the assigned tasks get completed within the given time frame. 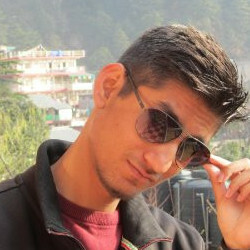 An intellectual software developer aspiring to keenly learn and understand the applications of computer science for solving problems in real-world scenarios. And to contribute to the best of my ability as a professional.